A healthy and delicious treat. 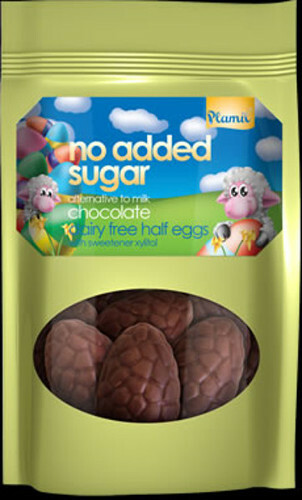 Suitable for vegans. 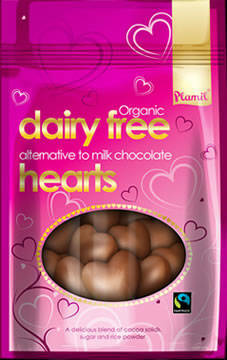 Tell someone you love them with these dairy free milk chocolate hearts. 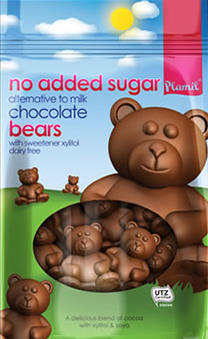 A delicious blend of cocoa solids (45%), sugar and rice powder. 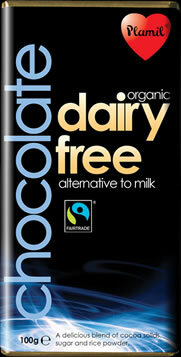 A delicious blend of cocoa (47%), rice powder with sugar and chicory root extract. A healthy choice and ethics! 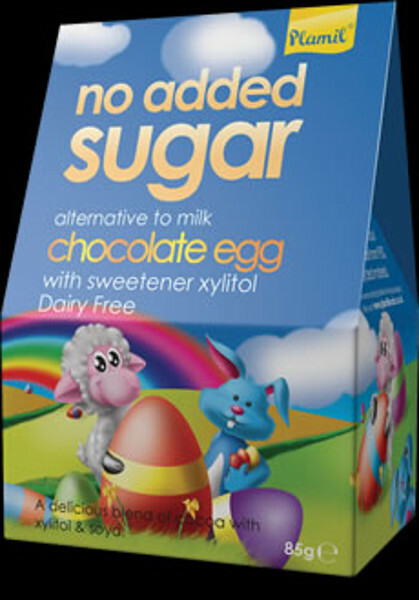 All the flavour of the milk chocolate, but with no milk or soy. A healthy and delicious choice. 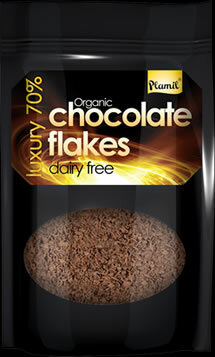 Chocolate flakes made with 70% cocoa solids. 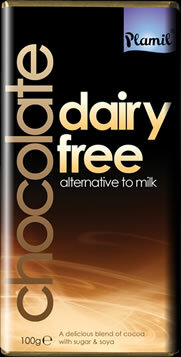 A vegan and gluten free chocolate bar with a delicious coffee flavour. 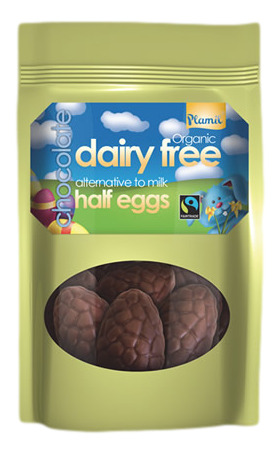 A delicious alternative to white milk chocolate. The perfect combination of black and white chocolate. 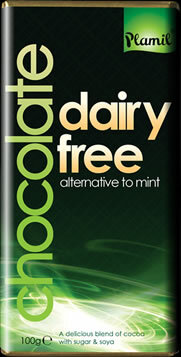 Chocolate with a fantastic mint flavour!